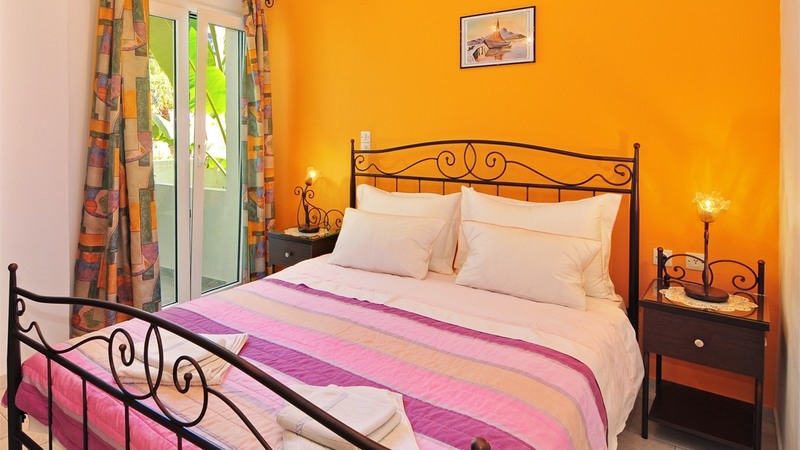 Mimoza Rooms and Apartments are ideal for accommodation of 2 to 5 guests. 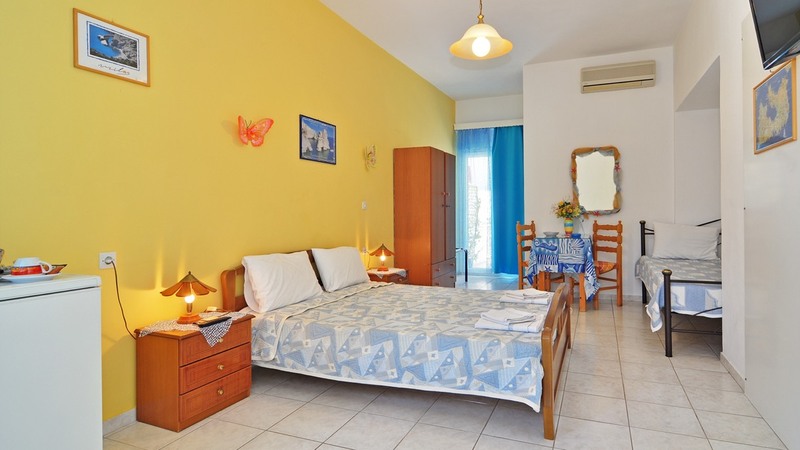 Mimoza Rooms is located in a peaceful environment in Adamas, Milos, while in close proximity to the center of town. 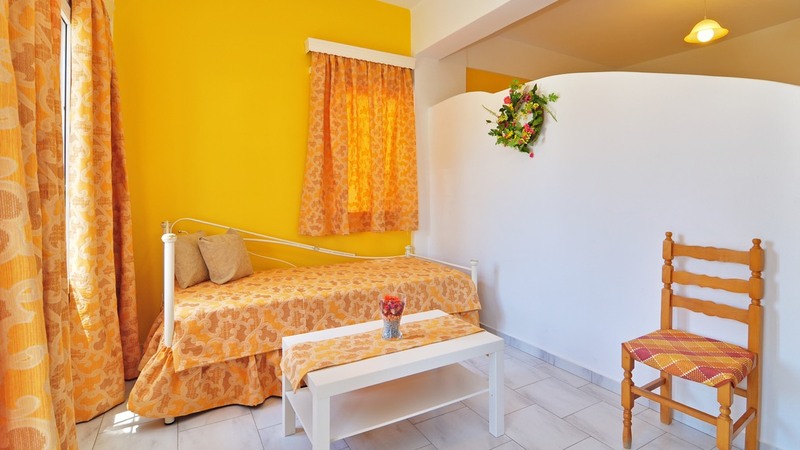 Mimoza Rooms are fully furnished, each with private bathroom with shower, patio or balcony, double bed, mini-fridge, air-conditioning, color TV set and kitchenette for a comfortable stay. 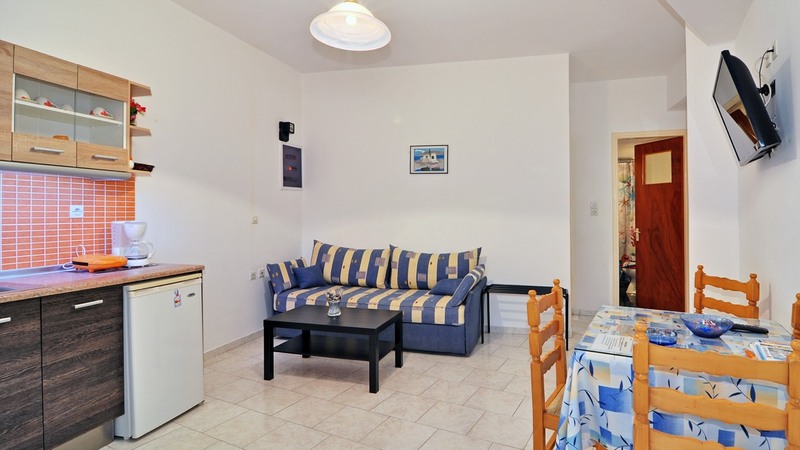 There are several parking spaces around the premises of Mimoza, which is only 400 meters away from either the center of Adamas or the sandy beach of Lagada. «great place to stay! Great and very pleasant host! Please note, if you have problems with swift transfer, just contact the host and arrange it! «Many thanks to the hostess Tonia for the comfort and hospitality! Very nice, clean and comfortable room. Great location. The beach, shops and restaurants are nearby. We will definitely come again!!»t. Airport shuttle, Airport shuttle (free). In cooperation with ecapemilos.com travel agency we could arrange for you day trips to all the beautiful sightseeings of the island. Nearest museunm is at 4,5 Km away.